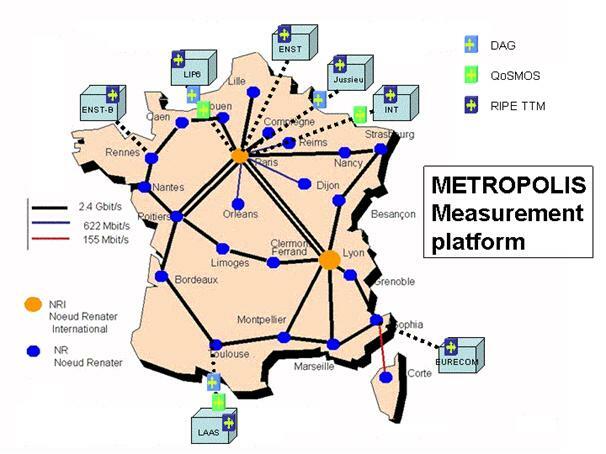 METROPOLIS was supported by RNRT (French Network for Research in Telecommunications). It started in September 2001 and ended in February 2005. METROPOLIS dealt with designing new methodologies for IP networks monitoring. The original approach of this project consisted in combining active and passive measurements. A tool for characterizing and analyzing Internet traffic traces has been developed in the framework of the METROPOLIS project, and is still improved: Zoo.